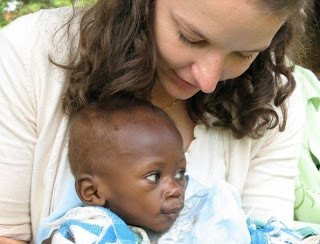 Angela Heino, BA, BScN, RN, originally from Vancouver BC, volunteered for five months in two remote Ugandan communities. Yesterday she landed in Uganda again for another two month term. Stay tuned for more updates! Greetings from Kampala where it is a lovely, sunny, warm day. I hope this message finds you well. Just a quick note to let you know that I landed in Entebbe this morning after a long, but very smooth journey. Each of my three suitcases arrived safe and sound.I will be heading to Mbale tomorrow morning and I am very much looking forward to seeing everyone there. I hope to send out my first detailed email update within a few days. For now, it is wonderful to be here and I'm just taking it all in.